As part of my radio show I have a special segment, called “Talk Tuesdays,” where I sit down and talk with an interesting individual–who is either a politician, educator, entrepreneur, or lawyer. 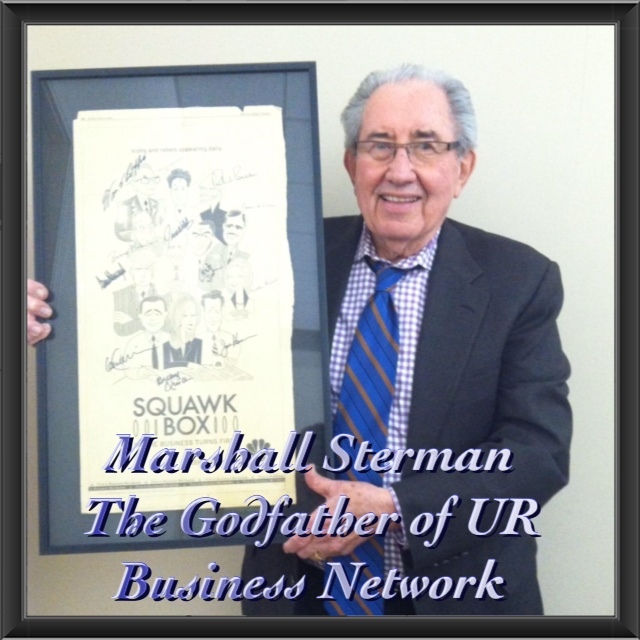 And on this special segment, I have invited my good friend and The Godfather of UR Business Marshall Sterman to share his insight on “crowdfunding” and his life story. Born and raised Beverly, Mass., Mr. Sterman has more than 50 years of experience in consulting and investment banking and has been a founder and capital raiser of over 50 privately and publicly held companies. Graduating with a MBA from Harvard Business School, he has been the managing partner of The Mayflower Group, LTD., a Boston based financial and corporate consulting firm, for over 25 years. He belongs to many organizations including an associate member of the National Investment Banking Association (NIBA), a member of The Arab-American Bankers Association (ABANA), the Boston Business Forum, The Harvard Club of New York City, and many others. In my interview I got to ask “The Godfather” some hard questions about his success and failures, all of which have made him a better financial consultant and person (inside and out). Today, he hosts his own show with UR Business Network, called “Way Off Wall St“, and is an avid fan of MSNBC’s “The Squawk Box.” He plans to set up a small brokerage firm (a committee of investment bankers) which would help small companies and entrepreneurs voice their brand to the world. He has proudly served for the US Navy; been married for over 58 years; and has two kids and four grandchildren. If you wish to contact Marshall you can do so via phone (781-389-9703) and/or email (marshallsterman@comcast.net).